You crouch in the jungle, wet to the bone, rain hissing down. Mud squelches from your shoes. Your shoulder still aches from the impact of the branch. In the torchlight, the navigator rubs eyes screwed up with fatigue, and strains to read the map, while the captain kneels alongside. Frustration is biting deep. You focus inward, trying to shut out the mess. Where are we? Why am I here?! If there’s one secret weapon in adventure racing, it’s this: Experience. Hard-earned, highly respected, it separates the podium from the back of the field, and then some. Team Merrell Adventure Addicts know this all too well, and they chose to do something about it. In 2014, captain Graham Bird led a trio of adventure racing newbies into the whirlwind of Godzone Kaikoura, eventually crossing the finish line unranked only due to an injured team member withdrawing. In 2016, Hanno Smit captained three female novices in Expedition Africa Knysna, successfully completing the race. In 2017, Donovan Sims took three friends, all expedition racing newcomers, up the river, into the toughest EA yet, the Baviaans. They finished in 21st place out of 39 teams, on the full course. I was there to witness this achievement, and afterwards, I managed to speak to both Don and Hanno about mentoring, and there is some food for thought. Don: I was more nervous looking after them. For me to get them here (to the finish line), it was huge pressure. It’s a totally different way of looking at the whole racing system. When you’re racing hard and fast, you obviously see the surroundings, but you don’t have time to take it in, but this was different. I used to question why (novice teams) come and race and are out until Saturday (6 days), but now I see why. Who knows, maybe I don’t race any more, I do this. This is awesome. Sitting in the pubs on the way through, having your pizzas and your burgers, it’s a way of experiencing our country that you’ll never see in any other way. SM: What about their lack of experience? Don: I was worried because I’ve never gone this slowly – no offense! But this is the first time they were racing together and they all pulled together. SM: What have you learned, as a captain? Don: I’ve learned that the human spirit never says die. Even when he wants to, if you have a few words…There are no limits. SM (to the newbies): So this isn’t your last race? Don: I was thinking about this as I was coming along the beach (to the finish), I’d like to put a challenge to all the seasoned adventure racers, to go and pick three newbies, give them five months to prepare, and bring them into the sport, because it’s the only way it’s going to grow. This has been one of the biggest finishes I’ve had. (Even compared to previous races, being on top of the podium) What happened here for me was unbelievable, it was special. Don had secretly organised for all the newbies’ families to be on the finish line. It was very poignant. Hanno was at EA 2017 to catch up with old friends, and to see how Don and his team fared. He’d found his own mentoring experience a great source for reflection. His team had been composed of two members with some adventuring experience, and one pure athlete but expedition racing was completely new to them all. Hanno: It was very interesting. If you share it with other people (non racers), they can relate to it. They fall in that same boat, so to speak, they are able to do what these girls are doing. SM: Why did you mentor them? Hanno: I didn’t want to race seriously because it was in my home town. In retrospect I’m glad I did it, because you would never feel good doing well at a race in your own backyard. It would always sit uneasy with you. So, it’s those two aspects that caused me to race like this. It was beautiful. I enjoyed it, they enjoyed it. And I think it had an effect on everyone around us, because wherever you go, they ask you, and them, all sorts of questions from all sorts of angles, and that’s what people want answers to. They never get answers to those questions. Both for racers and for people watching the race. It definitely opens their eyes. The big problem is that novices can’t do these races because they simply don’t get to the end. They can’t find the route. It’s not that athletically they’re not strong enough, but navigation is a big stumbling block. But now there’s a train for them to get to the end. It’s a beautiful way of introducing longer expedition races to the public. I think there is a niche in the AR market for this style of racing. Almost have a separate class, a separate prize, for the mentored teams. 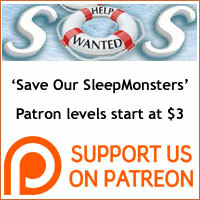 SM: More than a niche, a need. Hanno: People always say you start with the little races and build up to the bigger races. That’s true, but it’s also not true, because a small race never prepares you properly for a big race. It’s a different thing. You practice different things. In a big race, you go slowly, methodically, you look after yourself. In small races you go fast, you go fast, you go fast (laughs). It’s not always the case of starting small and ending up with a big race. Like Don, Hanno didn’t find it all a walk in the park. Hanno: It’s hard as a mentor. It’s new challenges, you haven’t faced yet. Now you need to – call it babysit, call it mentor – now you’ve got to make sure they get to the finish line, not you. It’s always been about you, you and the team, because you all have the ability to look after yourselves, but now you have to be totally responsible for these three novices. It’s hard, because it’s a new thing, and anything new is hard. But like Don said, unbelievably rewarding. I’ve been in awe with what those three (novices) have ended up doing. You have this, like, fatherly pride at the end. Well done, my kids. You listened well, and when you didn’t … (laughs again). SM: When racers retire, all their experience gets lost. That’s so valuable. The loss is tragic. Why should people start from scratch? It stops people from participating. Hanno: It’s the one game where experience is everything. SM: In terms of people starting earlier, the ARWS race in China in 2017 (had) free places and airfares for nine younger teams, each with a combined age under 100. Hanno: They just must be careful they don’t then have nine teams who don’t finish the race. That could also be negative. They need navigators in the teams, which is why mentoring is so important. 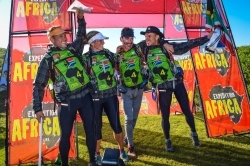 In May 2018, Merrell Adventure Addicts will guide another mentored team, of cancer survivors, through Expedition Africa Namaqua West Coast, opening their eyes to the possibilities, and to the idea of ‘never giving up’. Furthermore, three of their former ‘students’ will be competing with their own teams, proof that the recipe works. So, there is the challenge. It may not be the only solution, but surely it will help to overcome the largest obstacle for new competitors. We all know how adventure racing has struggled to raise its profile, to bring in the numbers of even a minor triathlon, and although New Zealand seems to be upping the ante, for most countries, racing is only a non-profit labour of love. The circuit in 2018 looks set to be busier than ever, with ARWS, A1 and ORWT events multiplying almost weekly, but will there be the racers to support them? As Hanno said, if a race is happening in your home town, maybe the more rewarding option is to grow the tribe. After all, you’ve seen things people wouldn’t believe. If you don’t share that experience, it will be lost in time, like tears in rain.